MONTREAL, Feb. 10, 2017 /CNW/ – Bristol-Myers Squibb Canada Co. today announced that the company has reached an agreement with the pan-Canadian Pharmaceutical Alliance (pCPA) for the immuno-oncology treatment OPDIVO®, bringing patients with advanced, difficult-to-treat cancers closer to accessing a new treatment option. This critical agreement for Canadian patients living with metastatic melanomai, locally advanced or metastatic pre-treated non-small cell lung cancer (NSCLC)ii and advanced or metastatic pre-treated renal cell carcinoma (RCC)iii follows a positive recommendation by the Pan-Canadian Oncology Drug Review (pCODR), a health technology assessment agency which assesses the value of new medicines for public coverage. The national pCPA agreement is aligned with the pCODR recommendation for the three tumours and will help ensure consistent patient access across the country. Starting today, BMS Canada will work with each provincial, federal and territorial jurisdiction to implement this agreement into their own publicly funded system in order to make OPDIVO® accessible to eligible patients – a significant milestone for patient access to this innovative therapy. “At Bristol-Myers Squibb, we are proud to be part of an innovation that has the potential to change survival expectations for patients across multiple tumour types,” says Dr. Nawal Peacock, president and general manager, Bristol-Myers Squibb Canada Co. “Starting today, we will work with provincial and territorial jurisdictions to ensure that people who can benefit from OPDIVO® will have public coverage in their home provinces quickly.” In an effort to help people living with advanced cancer benefit from OPDIVO®, Bristol-Myers Squibb Canada provided more than 3,000 Canadian patients with the treatment free-of-charge through different access programs. OPDIVO® is a programmed death-1 (PD-1) immune checkpoint inhibitor that is designed to uniquely harness the body’s own immune system to help restore anti-tumor immune response. By harnessing the body’s own immune system to fight cancer, OPDIVO® has become an important treatment option across multiple cancers. OPDIVO®’s leading global development program is based on Bristol-Myers Squibb’s scientific expertise in the field of Immuno-Oncology and includes a broad range of clinical trials across all phases, including Phase 3, in a variety of tumor types. To date, the OPDIVO® clinical development program has enrolled more than 25,000 patients. The OPDIVO® trials have contributed to gaining a deeper understanding of the potential role of biomarkers in patient care, particularly regarding how patients may benefit from OPDIVO® across the continuum of PD-L1 expression. In July 2014, OPDIVO® was the first PD-1 immune checkpoint inhibitor to receive regulatory approval anywhere in the world. OPDIVO® is currently approved in more than 60 countries, including Canada, the United States, the European Union and Japan. In October 2015, the company’s OPDIVO® + YERVOY® combination regimen was the first Immuno-Oncology combination to receive regulatory approval for the treatment of metastatic melanoma and is currently approved in more than 50 countries, including the United States and the European Union. Bristol-Myers Squibb Canada Co. is an indirect wholly-owned subsidiary of Bristol-Myers Squibb Company, a global biopharmaceutical company whose mission is to discover, develop and deliver innovative medicines that help patients prevail over serious diseases. 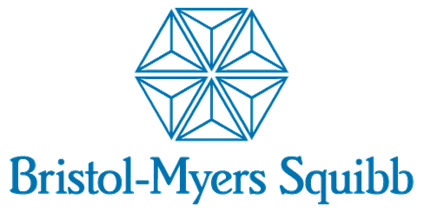 For more information about Bristol-Myers Squibb global operations, visit www.bms.com. Bristol-Myers Squibb Canada Co. has been delivering innovative medicines for serious diseases to Canadian patients in the areas of cardiovascular health, oncology, neuroscience, immunoscience and virology for over 80 years. Bristol-Myers Squibb Canada Co. employs over 300 people across the country. For more information, please visit www.bmscanada.ca.